Anyone else have worn paint on the clutch lever? Bike's only done 4615 miles and T have knocked-back a warranty claim ffs! 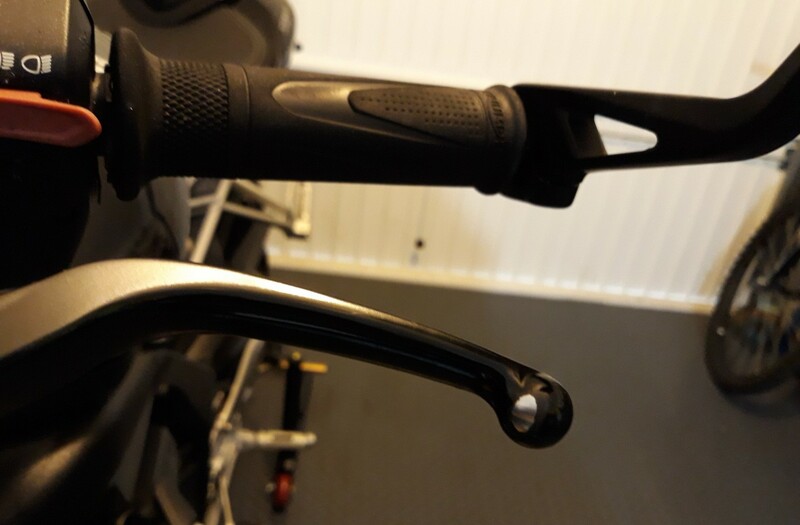 Re: Clutch Lever Paint Worn. Mine has done over 7k miles and doesn't show any wear like that. You must have gloves with a pretty aggressive surface to do that. Also clutch/brake levers are never a warranty item as they are subject to 'wear and tear'. Hhmmm, gloves are kangaroo leather, wouldn't have thought they'd be too aggressive, anyhoo I'm gonna call T next week to discuss. Worst case scenario it costs me a phone call.